PHNOM PENH, Cambodia — Cambodia's Parliament passed legislation Thursday that could allow the lifting of a five-year ban on political activity by some top opposition politicians. The action is the latest in a low-key charm offensive to improve relations with Western nations that accuse Prime Minister Hun Sen's government of suppressing human and democratic rights. The U.S. and Germany have already instituted some diplomatic sanctions against Cambodia, and Washington and the European Union have threatened to extend economic ones as well. However, there are conditions for restoring political rights that some opposition politicians have already rejected. Cambodia's Foreign Affairs Ministry earlier this month listed the legislation that could cut short political bans as one of several examples of how the government is seeking "to improve the political climate and democratic space for the citizens to exercise their legitimate rights and freedoms in the spirit of national reconciliation." 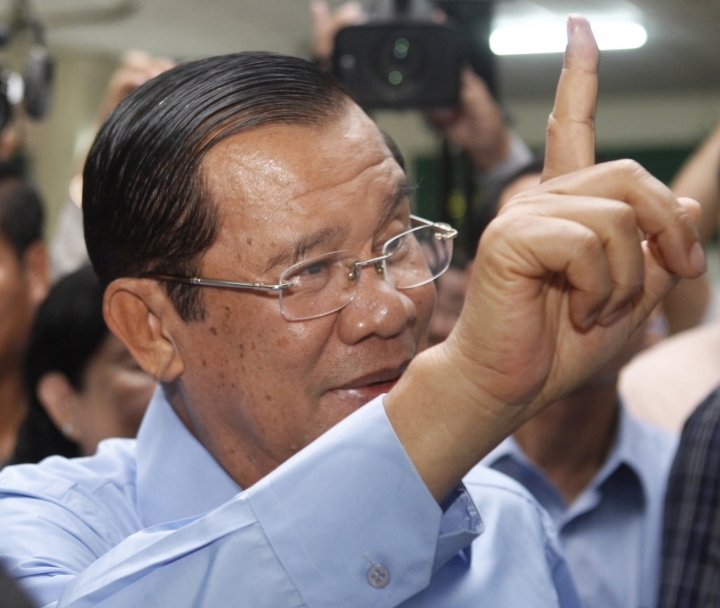 These include the freeing, either on bail or with pardons, of political prisoners including the head of the opposition Cambodia National Rescue Party, Kem Sokha, who was charged last year with treason on the basis of scant evidence. He is now being held under house arrest. Sam Rainsy, another former leader of the opposition party now in exile, said on his Facebook page Tuesday that he wished to tell Hun Sen "that he doesn't need to reconsider our cases because we are not interested in recovering our political rights as long as Mr. Kem Sokha, who is the CNRP President, has not recovered his full freedom and as long as all charges against him have not been dropped."